So I started a SL1 playthrough of Dark Souls tonight. 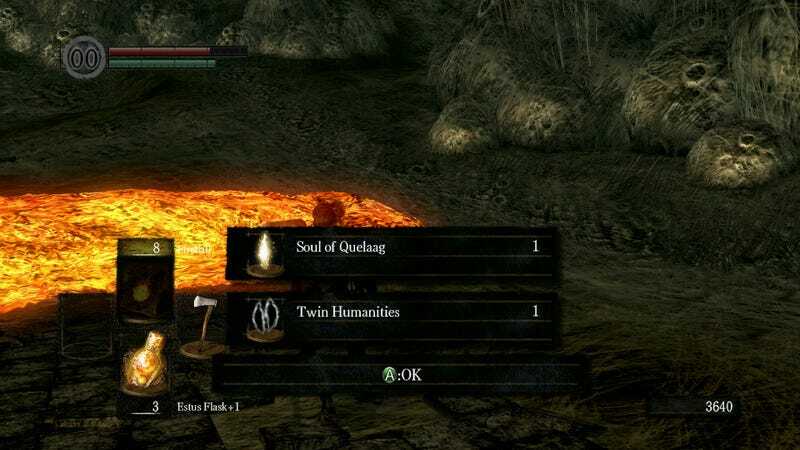 I've downed Asylum, Taurus, Quelaag, and just finished killing Lautrec (DODGE DODGE PARRY HIT DODGE DODGE PARRY HIT) and getting the Ring of Favor and Protection. Stopping for the night after a second death to Bell Gargoyles. We'll see how far I can get, I imagine everything after Smough and Ornstein will be nearly impossible, but I'm actually amazed I made it all the way through Quelaag in only ~3 hours. Oh man, I really love this game you guys.